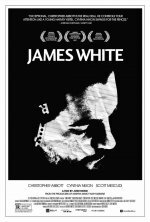 James White release date was Friday, November 13, 2015. This was a Limited in theaters release. James White is a troubled twentysomething trying to stay afloat in a frenzied New York City. He retreats further into a self-destructive, hedonistic lifestyle, but as his mother battles a serious illness, James is forced to take control of his life.